The letters below have been shortened, all are at our office for inspection. People say the nicest thing about us please read some of the latest letters thanking us for the good job. Mr. & Mrs. Brown of Hephzibah, GA told us. They told us recently, that they have seen a total reduction in there power bill of fifty dollars or more per month during the heating and cooling sessions. The reduction in cost is directly due to the cleaning of there fan and A/C coil. These components inside there HVAC unit, had excessive amounts of dirt and suspect mold growth and cleaning them improved the flow of air through the HVAC system thus reducing the amount of time the system had to run to heat and cool there home. Sherry and I wanted to thank you for the great job you did for us and we would be most happy for to use us as a reference any time. Thank you again for your spirit of excellence. 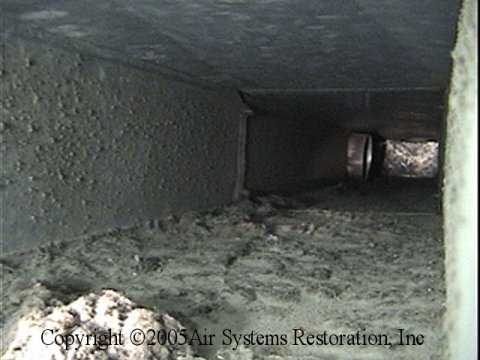 I am writing to Express my Thanks and extreme satisfaction with the air duct cleaning performed in my home. I want to particularly recognize the thoroughness and quality of work performed by Ben and Larry. A big thanks goes out to Michael as he was the person on the phone that answered every conceivable question that could be possibly asked and even better didn't make me feel like they were silly questions. Another big Thanks goes out to Ben and Larry. When I met Ben last week he explained every step of the cleaning so well that I felt I could have done it myself. When he and Larry showed up they conducted themselves as professionals. I will certainly recommend you to others. Thanks again for the great service. Mrs. Daniela S. Metz told us after the cleaning of her HVAC systems and the installation of Ultra-Violet lights in each system to control mold and the installation of a whole house vacuum system she feels the house is cleaner and smells better and her cleaning service loves the new vacuum system. No more caring a heavy vacuum up the stairs. Miss Nicky Louder of Columbia, SC said. Air Systems Restoration is the cleanest, quietest and most professional company she has ever had in her home. She is happy she chose Air systems. Mrs. Baker and I are pleased with the cleaning and sanitizing of our unit ductwork and that your workers used shoe covers each time they entered our home. Your work was efficient, professional and thoroughly acceptable. Please do not hesitate to use Mrs. Baker or myself as a reference should you wish to. Thank you for the great job your company did cleaning our Heating and Air conditioning system. Your men were very professional and proficient as well as they did such a good job cleaning up after the job. I will certainly recommend your company to my friends. I am writing to express my thanks and extreme satisfaction with the air duct cleaning performed in our home. We had a great experience dealing with the people on the office. I want to particularly recognize the thorough and quality of work performed by the crew that came to our house. We will certainly recommend you to others. Thanks again for the great service. I would type this Thank you in all caps, but I'm afraid the state of GA would tremble from the roar. The workers arrived on time on Monday, and I am short on adjectives which enable me to express the personal, professional, and jaw dropping thoroughness with which they proceeded to prepare and perform the cleaning of our homes heating and air system. We feel your company is the only one in GA that would have provided this extensive a job.